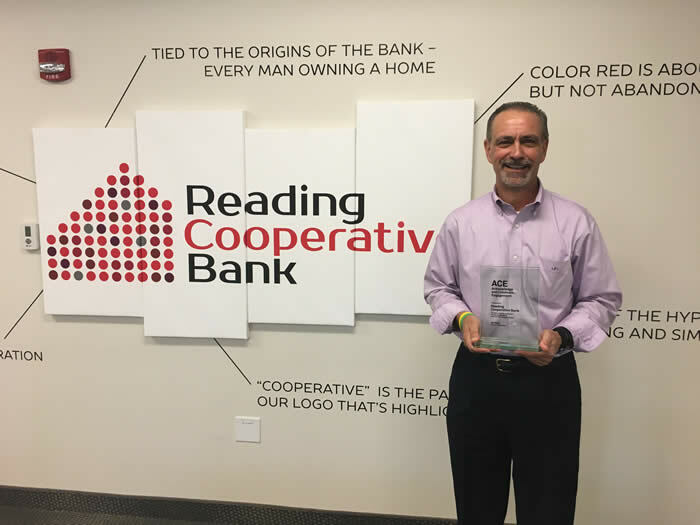 Reading, MA - Reading Cooperative Bank (RCB) is excited to announce that the Bank and Senior Vice President, Anthony J. Patti, were recognized at the 2017 SNL Banker User Conference with the Acknowledge and Celebrate Engagement (A.C.E.) Award for ongoing dedication to improving banking business intelligence (BI) with the SNL Banker solution. Over 70 SNL Banker clients gathered in Baltimore for the conference. Attendees shared ideas, success stories and learned real-world strategies for deploying and utilizing the SNL Banker solution to maximize performance at their institutions. At the event, the SNL Banker team presented the inaugural A.C.E. awards to acknowledge and celebrate the engagement of 11 client banks, including Reading Cooperative. These banks were honored for their participation at the SNL Banker User Conference throughout their years as a client.